Sherri Camperchioli takes a passenger’s photo at the intersection of the Camas and North Fork roads. 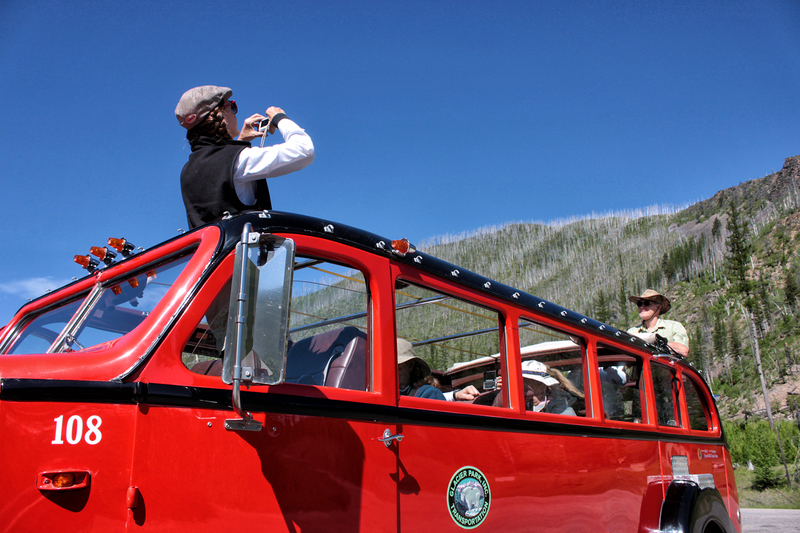 Of the 35 Red Buses built for Glacier National Park, 33 operate today. One was preserved in its original condition by the National Park Service and another, No. 100, was lost in an accident. Justin Franz | Flathead Beacon.